Antiqued with subtle movement in the oxidisation these three panels bring true authenticity to how mirrors would naturally oxidise over the course of time. 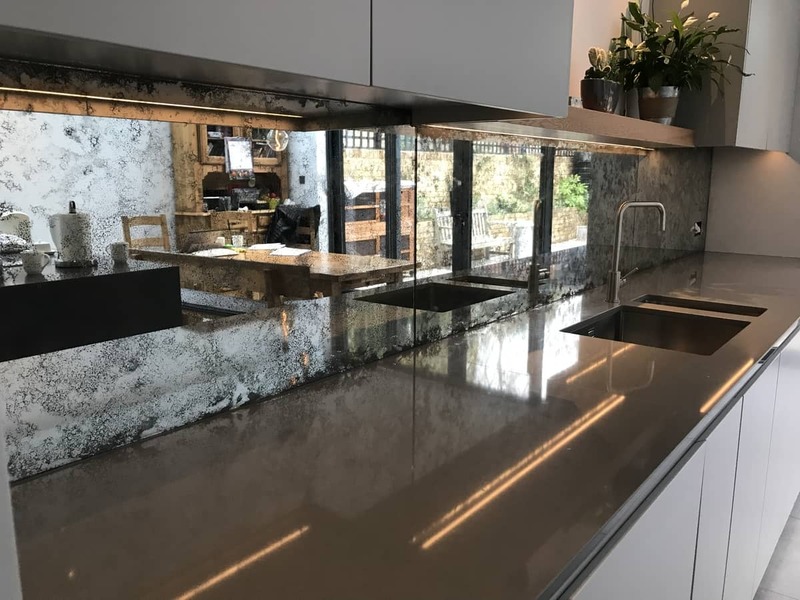 Original Vintage Antique Mirror Glass Splashback with a medium intensity of distressing throughout and concentrated edges. 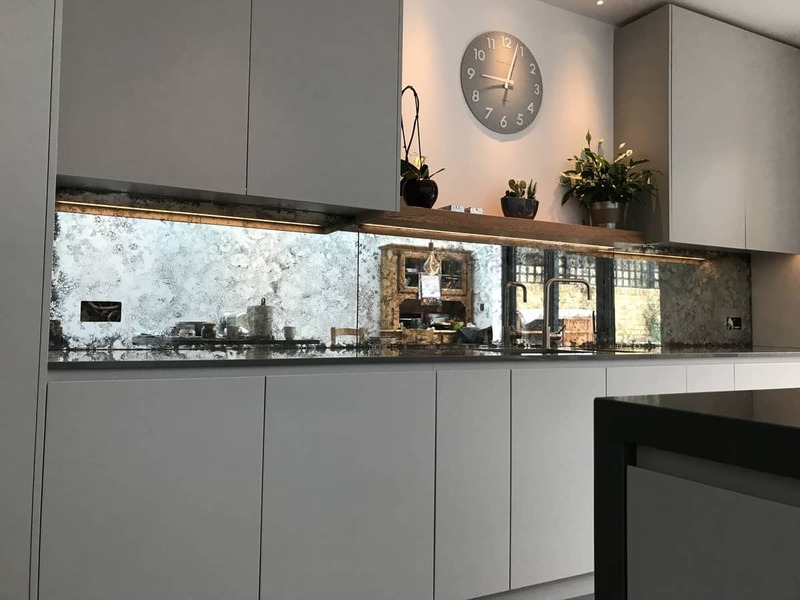 Antiqued with subtle movement in the oxidisation these three panels bring true authenticity to how mirrors would naturally oxidise over the course of time.